Short North - 11 E. 6th Avenue – Unit 202 - Available April - Beautifully renovated 1168 square foot 1 bedroom loft in Short North with unique architectural features. Reserved garage parking included. Spacious loft boasts high ceilings, exposed brick, wood timber ceiling and beautifully refinished maple wood floors. Large warehouse windows. Unit includes private balcony and 2 skylights. Brand new kitchen with quartz countertops and stainless appliances. Full size washer/dryer included. 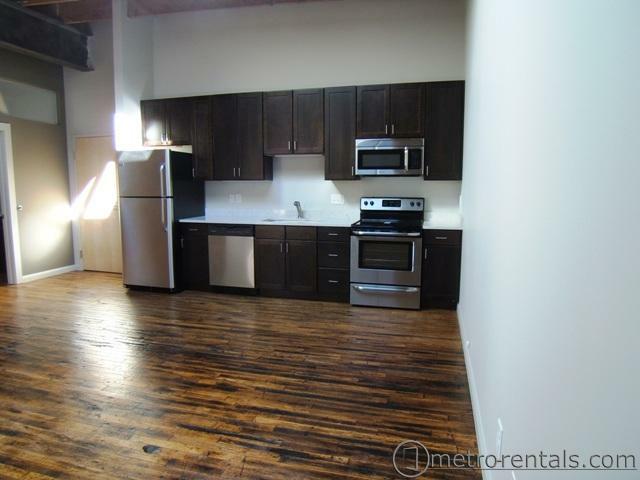 Rent for this beautiful loft is $1695/month. Pet Policy: Tenant pays a one-time non-refundable fee of $300 and monthly pet rent of $30. To schedule a tour, please call Day Companies at (614) 450-1760 or use the contact link below.